Aceware Technologies Pvt.Ltd ( ISO 9001:2008 Certified Company ) based on Sreekariyam,Trivandrum,is Web and Smart Phone Apps Development Company. We have been working for more than 5 yrs in these domain and got enough expertise to deliver among best services in terms of Quality, Pricing and timeliness. Aceware Technologies is global IT Solution & Services Company specializing in providing Global Sourcing services to its clients globally. Our expertise lies in complete transformation of our customers IT portfolio by reducing costs, bringing Innovation and enhancing productivity. By improving reliability, speed and agility, we enable our customers to achieve sustainable differential advantage over their competitors. 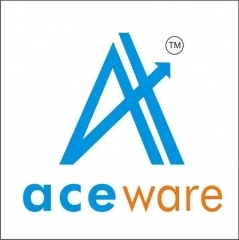 Aceware Technologies Pvt.Ltd based in the capital city of Kerala is amanagement consulting, technology services and outsourcing company, committedto deliver innovations. With our industry knowledge, service-offering expertiseand technology capabilities, we identify new business and technology trends anddevelop solutions to help clients. Our core values have shaped the culture anddefined the character of our company. We aim to be a dominant player in every sector where we operate. Whichever partof the Group you join, our career progression and talent management processallows you to take your career to greater heights in any of thesectors/geographies in which we operate. Content Management System forWebsites,its used for create website within 1 hours. Android is an Operating system for mobile devices such as cellular phones, tablet computers, net books. Android is a Linux based open source operating system which has JAVA library (similar to SE). And it is a robot or synthetic organism. Android has a large community of developers writing apps that extend the functionality of the devices. Android is one of the most popular mobile development target. Developers write managed code in the Java language, controlling the device via Google-developed Java libraries. The Android training that uses its API, the Software Development Kit (SDK), and tools will help you unlock your potential as an Android developer.The course explains what Android is and how it compares to other mobile environments. It also deals with the setup of the Android Eclipse-based development tools, the Android SDK, all essential features. The use of Android based smart phones is booming, with more than 50,000 Android apps being already developed. The Android mobile phone market is growing at an impressive rate of 32 % every month, with new handsets being released all the time. Aceware Technologies offer ample opportunities to train, learn, and execute projects in Android. eZesite is an enterprise content management software system, which facilitates organizations and non-technical users develop, modify and update fully functional websites without knowledge of FTP, HTML, etc. Provides 99.99% freedom to manage your website content from your office. Provides full administration rights for the user to add and edit content. Provides features to add countless number of new pages in the website. Provides features to upload unlimited amount of data to the website as per your Server Space availability.